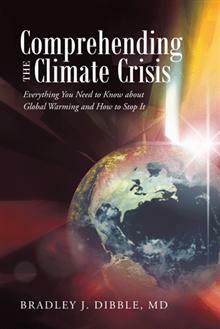 Co-written with fellow Climate Reality presenter, Bradley J. Dibble MD, a Barrie-area cardiologist. Another week, another attempt by anti-science climate deniers to cherry-pick a little bit of science to trumpet, only to support their case against the rest of the science. This week Mr. Ezra Levant has rehashed some common myths we’d like to correct. As reported, a recent study found most climate models (computer projections) have overestimated the rate of global warming for the past decade. To be clear, the study affirms the Earth has been warming and continues to warm, just not as quickly as most of the models had calculated for this particular period. The article indicates that the models need some adjustment, and even suggests factors that might be behind the discrepancy, such as a series of volcanic eruptions that have added particulates (soot) to the atmosphere, temporarily blocking out some sunlight. None of the computer models can take unexpected future volcanic activity into account. So the core message of the paper is this: the climate has warmed, and continues to warm, just not quite as fast as we’d expected, although it offers reasons why. Nothing in this information counters our basic understanding, developed over the past century of atmospheric science, of how burning fossil fuels adds more greenhouse gas to our atmosphere, causing the Earth to retain more solar heat and become warmer, on average. Yet the denier spin-machine is out in full force, declaring climate modeling worthless, even branding climate change a hoax! That charge would require two things: that global warming isn’t happening (it is, as the study itself confirms) and that models were deliberately wrong (of which there is no indication whatsoever). Contrary to what climate deniers imply, global warming has not stopped and the planet has certainly not begun to cool: Arctic ice reached a historic low last year, the oceans continue to warm, this past decade has been the warmest on file, and 2012 was one of the ten warmest years ever recorded. The denier-sphere then goes on to decry the supposed waste of taxpayer money or misguided government policy to combat non-existent global warming, which might make sense if governments had actually implemented any serious policies or spent significant funds to address climate change. Sadly, for the most part, they have not. And of course, in the face of inaction, perilous global warming continues. If your doctor warned increasing your salt intake would elevate your blood pressure as much as 20 points, and you ate more salt but your blood pressure only went up 5 points, would you accuse your doctor of being a hoaxer, smirk at her, and eat even more salt? Or would you realize you’ve been lucky so far, and get your salt back down before your high blood pressure gets even worse? With a long-awaited major Intergovernmental Panel on Climate Change update due soon, the deniers will keep trying to defuse it with attacks before it’s even released. Hopefully you can see through this transparent spin tactic; it’s sure to grow in volume. Erich Jacoby-Hawkins is a certified Climate Reality presenter, as is Bradley J. Dibble, MD, who practices cardiology in Barrie and Newmarket and authored the book “Comprehending the Climate Crisis”.